The world’s busiest airport was thrust into darkness on Sunday (December 17) after a fire in a Georgia Power underground electrical facility caused a total blackout. An estimated 30,000 people were affected by the 11-hour power outage at Hartsfield-Jackson International Airport in Atlanta, and more than 1,500 flights were canceled on Sunday and Monday, according to flight data website FlightAware. The Federal Aviation Administration was forced to declare a ground stop at the airport, which prevented Atlanta-bound flights in other airports from travelling and caused mass diversions. Airport delays were reported across the US, with nearly 92% of all canceled flights being attributed to the Atlanta power outage. This fiasco – which struck right at the start of the hectic holiday season - could not have come at a busier time. A study compiled by Generali Global Assistance’s Travel Insurance division found that 40% of Americans – or 99.8 million people – plan to travel over the course of the 2017 holiday season. Travel delays and cancelations are becoming more common in the US. 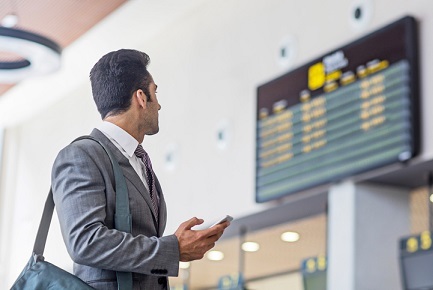 Luckily, most travel insurance policies will cover delays and fill the gaps left open by the airlines, according to Chris Carnicelli, CEO of Generali Global Assistance. “Airlines will generally rebook passengers, but they don’t always cover the extra expenses caused by delays and cancelations, such as hotel fees, meals and local transportation,” Carnicelli told Insurance Business. At least 30,000 people were impacted by the power outage in Hartsfield-Jackson International Airport. Officials and staff pooled together to lend a helping hand and stranded passengers were given food and water - but reports suggest there wasn’t enough to go around and many would have had to dig into their own pockets for some relief. “Travel insurance policies also include travel assistance, where the policyholder can contact a call center to get help to make alternative arrangements when facing this kind of mass-delay event,” Carnicelli commented. Like all insurance policies, the “devil’s in the detail,” Carnicelli added. It’s worth checking policies for any exclusions and to ensure that out-of-pocket delay expenses are covered.